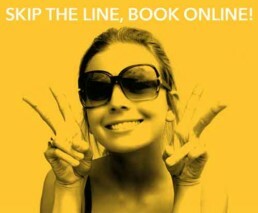 Victory Casino Cruises offers social sharing opportunities (“Victory Casino Cruises,” “we,” or “us”). PLEASE READ THE FOLLOWING TERMS AND CONDITIONS (“VICTORY CASINO CRUISES TERMS”) CAREFULLY BEFORE PARTICIPATING IN OR INTERACTING WITH OUR SOCIAL MEDIA IN ANY WAY. You agree to be bound by these terms, along with Victory Casino Cruise’s legal/privacy terms located at http://victorycasinocruises.com/privacy/, and the Victory Casino Cruise’s Website Terms and Conditions. If you do not agree with any of these terms and conditions, you may not use participate in any of our social media program, sites, or program, including our hashtags and contests. USE OF HASHTAG PROGRAMS: You may use our hashtag programs for personal purposes only and not for any business, commercial or other use. In order to use some parts of our hashtag programs, you must sign in using your Facebook, Instagram, or Twitter account or other account, as directed. Victory Casino Cruises has the right, in its sole discretion, to deny, restrict, suspend or terminate a user’s ability to post content to its social channels or website, with or without prior notice or explanation, and without liability. USER CONTENT: Victory Casino Cruises will allow you to submit certain content, including, without limitation, travel tips, photographs, and videos (collectively, “Content”). For purposes of these Victory Casino Cruise Terms, “Content” includes: (i) Content that is submitted directly to Victory Casino Cruises by complying with the instructions on the website and on Victory social media channels; and (ii) Content that is posted on your own social media pages/accounts with the hashtags in Victory Casino Cruises programs (#myVictoryDance, etc.) You represent and warrant that you exclusively own any Content that you post and that your posting of such Content does not violate the law or violate the privacy rights, publicity rights, copyrights, trademark rights, contract rights or any other rights of any person or entity. You certify that the Content reflects your honest opinions, findings, beliefs or experiences. You also agree that any views expressed in the Content were stated without any prior promise of payment or other benefit, and without any expectation of payment or benefit in return for giving your views. VICTORY CASINO CRUISES ASSUMES NO RESPONSIBILITY FOR CONTENT YOU SUBMIT. GRANT OF RIGHTS: YOU HEREBY GRANT TO THE RELEASED PARTIES (AS DEFINED BELOW) THE UNLIMITED RIGHT AND PERMISSION TO USE, DISTRIBUTE, PUBLISH, EXHIBIT, DIGITIZE, BROADCAST, DISPLAY, REPRODUCE, AND OTHERWISE EXPLOIT THE CONTENT (INCLUDING, WITHOUT LIMITATION, ALL ELEMENTS THEREOF) AND YOUR NAME, SIGNATURE, SOCIAL MEDIA HANDLE, PICTURE, LIKENESS, VOICE, AND BIOGRAPHICAL INFORMATION (COLLECTIVELY, “PERSONA”), AND ANY MATERIAL BASED THEREON OR DERIVED THEREFROM, TOGETHER WITH ANY OTHER MATERIAL (INCLUDING, WITHOUT LIMITATION, FICTIONAL MATERIAL), EDITED OR ALTERED AS RELEASED PARTIES SEE FIT, IN ANY MANNER, IN ANY AND ALL MEDIA WHATSOEVER (WHETHER NOW KNOWN OR HEREAFTER DEVISED) (INCLUDING, WITHOUT LIMITATION, ANYWHERE ON THE VICTORY CASINO CRUISES WEBSITES AND VICTORY CASINO CRUISES’S SOCIAL MEDIA PAGES/ACCOUNTS), ANYWHERE IN THE WORLD, IN PERPETUITY, FOR ANY PURPOSES WHATSOEVER, INCLUDING, WITHOUT LIMITATION, FOR PURPOSES OF ADVERTISING OR TRADE. You understand and agree that you will have no right of approval, no claim to compensation, and no claim (including, without limitation, claims based upon invasion of privacy, defamation or right of publicity) arising out of any use, blurring, alteration, distortion, faulty reproduction, fictionalization or use in any composite form of the Content or your Persona. Victory Casino Cruises shall have no obligation to post or otherwise use your Content or to exercise any of the rights granted herein. You further grant to Victory Casino Cruises permission to contact you in any manner deemed necessary or appropriate regarding the Content. You agree that Released Parties are not responsible for any use of Content by third parties. GENERAL CONDITIONS, RELEASE, AND LIMITATION OF LIABILITY: By using or interacting with Victory Casino Cruises website and social media channels, you agree to: (i) be bound by these Terms; (ii) waive any and all claims against Victory Casino Cruises and its parents, subsidiaries, affiliates, advertising and promotion agencies, licensees, successors, and assigns, and all of their respective officers, directors, shareholders employees, agents, representatives, designees, and others working for them or on their behalf (collectively, the “Released Parties”) for any injury, damage or loss that may occur, directly or indirectly, in whole or in part, in connection with Victory Casino Cruises; and (iii) indemnify and hold the Released Parties harmless from any and all claims, losses, liabilities or expenses, including, without limitation, reasonable attorneys’ fees, resulting from any claims, proceedings or investigations arising from or in connection with the Content, your Persona, your participation in Victory Casino Cruises websites or social channels, or your compliance or non-compliance with these Terms. Released Parties are not responsible for late, lost, incomplete, delayed, inaccurate, garbled, undelivered, misdirected Content, or for lost, interrupted or unavailable network, server, Internet Service Provider (ISP), website, or other connections, availability or accessibility or miscommunications or failed computer, satellite, telephone or cable transmissions, lines, or technical failure or jumbled, scrambled, delayed, or misdirected transmissions or computer hardware or software malfunctions, failures or difficulties, or other errors or problems of any kind relating to or in connection with Victory Casino Cruises, whether printing, typographical, technical, computer, network, human, mechanical, electronic or otherwise, including, without limitation, errors or problems which may occur in connection with the administration of Victory Casino Cruises website or social media channels, the processing of Content, or in any Victory Casino Cruises-related materials. Persons found tampering with or abusing any aspect of Victory Casino Cruises websites or social media channels, who are acting in a disruptive or unsportsmanlike manner, who are engaging in fraudulent, unlawful or disruptive activity, or who are otherwise not in compliance with these Terms, as solely determined by Victory Casino Cruises, may be disqualified or banned from Victory Casino Cruises websites, social media channels, and cruises in Victory Casino Cruises’ sole discretion. Released Parties are not responsible for injury or damage to your or to any other person’s computer related to or resulting from participating in or interacting with Victory Casino Cruises’ website, social media channels, or cruises, including, without limitation, from downloading materials or use of the site. 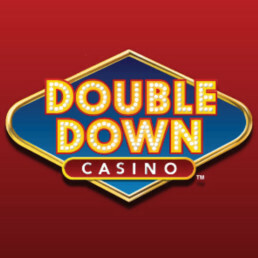 IN NO EVENT SHALL THE RELEASED PARTIES BE LIABLE FOR ANY DAMAGES (WHETHER SPECIAL, INDIRECT, INCIDENTAL, PUNITIVE OR CONSEQUENTIAL OR OTHERWISE) ARISING OUT OF OR IN ANY WAY CONNECTED WITH YOUR USE OF OR INABILITY TO USE VICTORY CASINO CRUISES’ WEBSITES OR SOCIAL MEDIA CHANNELS (INCLUDING, WITHOUT LIMITATION, ANY CONTENT POSTED OR SHARED IN CONNECTION THEREWITH), HOWSOEVER CAUSED AND REGARDLESS OF WHETHER SUCH DAMAGES ARE BASED ON CONTRACT, STRICT LIABILITY, TORT OR OTHER THEORIES OF LIABILITY, AND ALSO REGARDLESS OF WHETHER SUCH DAMAGES ARE FORESEEABLE OR ANY OF THE RELEASED PARTIES HAS BEEN ADVISED OF THE POSSIBILITY OF SUCH DAMAGES. WITHOUT IN ANY WAY LIMITING THE FOREGOING, UNDER NO CIRCUMSTANCES WILL THE RELEASED PARTIES BE LIABLE FOR ANY DAMAGES WHATSOEVER (WHETHER SPECIAL, INDIRECT, INCIDENTAL, PUNITIVE OR CONSEQUENTIAL OR OTHERWISE) ARISING OUT OF OR IN ANY WAY CONNECTED WITH A THIRD PARTY’S UNAUTHORIZED ACCESS TO YOUR CONTENT OR PERSONA OR OTHER INFORMATION ABOUT YOU, HOWSOEVER CAUSED AND REGARDLESS OF WHETHER SUCH DAMAGES ARE BASED ON CONTRACT, STRICT LIABILITY, TORT OR OTHER THEORIES OF LIABILITY, AND ALSO REGARDLESS OF WHETHER SUCH DAMAGES ARE FORESEEABLE OR ANY OF THE RELEASED PARTIES HAS BEEN ADVISED OF THE POSSIBILITY OF SUCH DAMAGES. You are solely responsible for any and all costs and expenses that may be associated with your participation in Victory Cruises’ website and social channels, including, without limitation, data rates for a mobile device. INCLUDING, WITHOUT LIMITATION, ANY EXPRESS OR IMPLIED WARRANTY OF EXPECTATION OF PRIVACY, REPRESENTATIONS, CONDITIONS OR GUARANTEES OF QUALITY, MERCHANTABILITY, MERCHANTABLE QUALITY, FITNESS FOR A PARTICULAR PURPOSE, NON-INFRINGEMENT OR TITLE, THOSE ARISING BY STATUTE, OR OTHERWISE IN LAW OR FROM A COURSE OF DEALING OR USAGE OF TRADE. Victory Casino Cruises’ website and social channels may contain links or functionality of other websites or services maintained by third parties. Released Parties do not operate or control, in any respect, or necessarily endorse such third-party websites or services. You assume sole responsibility for your use of third-party links, websites, products and services. CHANGES TO THE TERMS AND CONDITIONS: Victory Casino Cruises reserves the right, at any time, to modify these Terms. Please review these Terms from time to time to ensure you are familiar with the most current version. Your continued usage of Victory Casino Cruises’ website and social media channels following such modification shall constitute your acceptance of the changes. If you do not agree to any such changes you must immediately cease using Victory Casino Cruises’ website and social media channels.